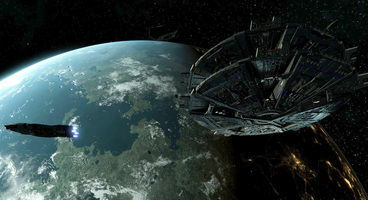 Update, 18th of October 2018: Battlestar Galactica Deadlock: Anabasis has now officially been released. All that’s left for you to do is hold onto your pantaloons and run for your life in the most significant expansion for Deadlock yet. After a strike force dedicated to fighting off the Cyclon onslaught on a distant mining colony found nothing but smouldering ashes, players have to take control of the fleet and make a mad dash for the remaining frontier colonies before the Cyclons reach them. Expect a wildly different sort of gameplay experience than you’ve been used to in Deadlock. Original text: Battlestar Galactica Deadlock is set to receive yet another expansion pack, and it’s coming out just next week! Anabasis is a bit different from what we’re used to, though, because instead of letting players loose with all the options they’ve got available in the base game, it focuses on a gritty survival run. 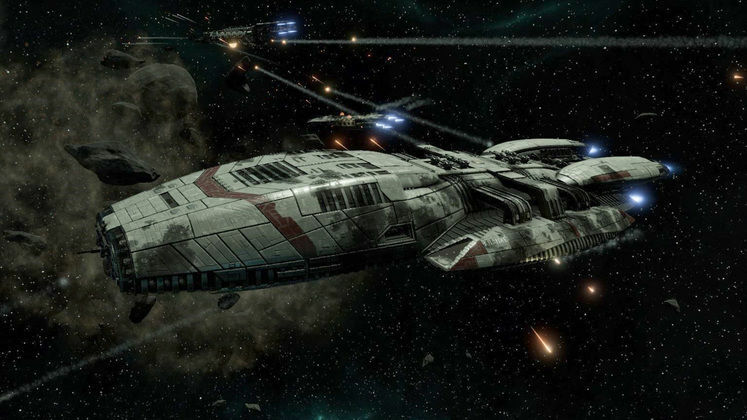 Battlestar Galactica Deadlock: Anabasis will task players with controlling no more than a single fleet of spaceships, the captains of which have no choice but to run for their lives from Cyclon fleets hell-bent on exterminating them. 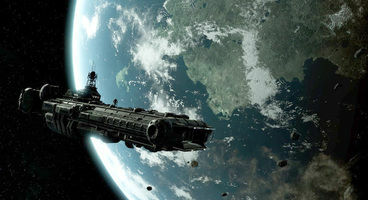 Slitherine’s latest DLC for Battlestar Galactica Deadlock promises to revolutionise how we play this lovely strategy game by introducing Operation Anabasis, where players have no ability to rebuild their fleet, and are constantly chased by Cyclons. Kind of like how FTL works, now that we think of it. Anabasis also adds 11 new skirmish maps, 4 new munition types, and 12 new resource missions to complete, which makes for a rather hefty batch of content to come up out of the blue. The star of the show is, of course, said (randomised) survival mode, where players can customise their fleet, make split-second decisions, and generally enjoy getting curb stomped by an infinite number of Cyclon vessels. This intriguing dash of variety for Battlestar Galactica Deadlock is coming out next week, on 18th of October, and can already be found listed on Steam.